← How Does the Traffic Message Channel Work? We have been talking for the past couple of years about “connected work zones” – that is, the automatic and real-time method of putting our work zones on the digital map that everyone is quickly coming to depend upon when choosing a route. We have argued that traffic control workers don’t need more to do when they are setting up or tearing down a work zone. So, to arrive at a point where we have timely and accurate reporting of work zones, it must happen automatically. Several companies are now providing solutions. Those solutions vary in their complexity and technologies involved. But in their simplest form they each include a device attached to existing traffic control devices. One of those is normally the arrow board. The beauty of this approach is that when the arrow board is turned on, the system immediately tells the digital map that a work zone just popped up on that route at that precise location. And when it is turned off, it tells the map that the work zone is now gone. It happens every time a “smart” arrow board is used and those are becoming more and more common. We all “get” this. But now the driving public is also recognizing the importance of these systems. 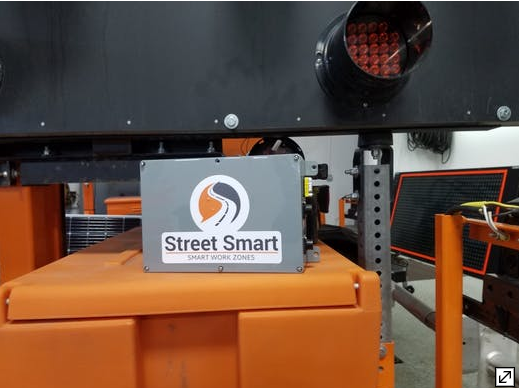 An article by Tim Harlow in the January 27th Minneapolis Star-Tribune talks about a system supplied by Street Smart Rentals to Minnesota DOT in the Twin Cities. He points out that the existing 511 system does a good job of informing the public about long-term projects, but that short-term and unplanned closures can cause just as much disruption yet are not included in their warnings to the public. We believe economies of scale will quickly and significantly reduce those costs. And the need for this information will bring down any barriers to those traffic information sources. We look forward to hearing more about this system and others like it the exciting year to come.